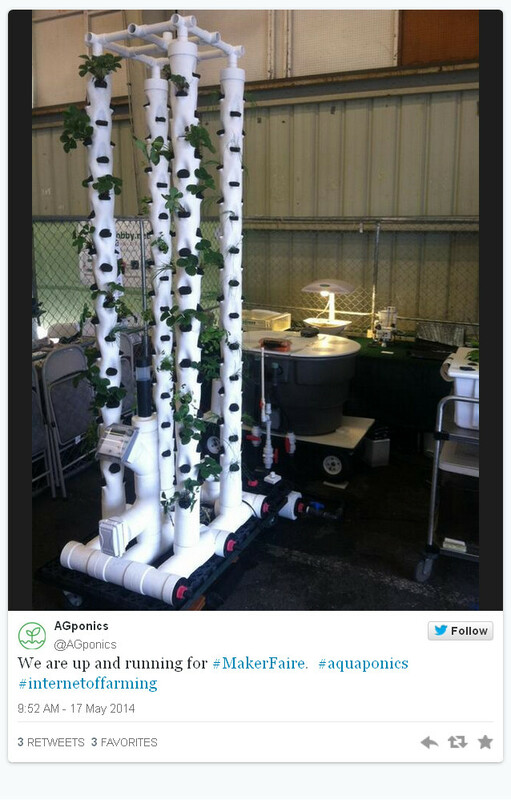 Posted by rik94566 in agponics.com, Air Pots, Crop, DIY aquaponics, indoor gardens, indoor growing, PRODUCTS. 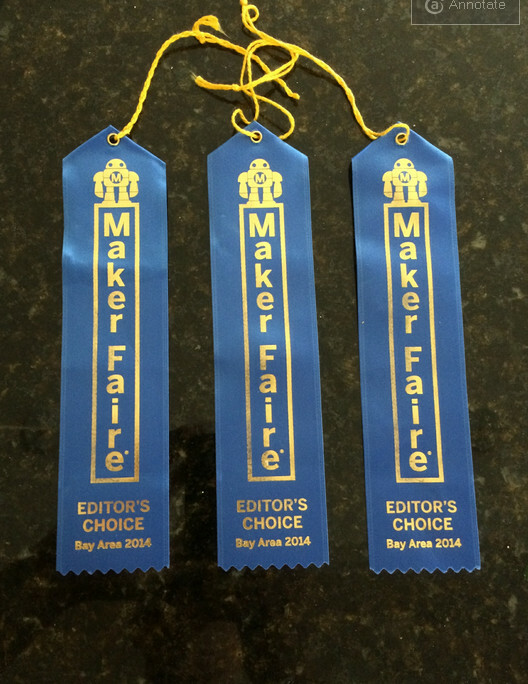 This past July I was able to attend the Indoor Garden Show in San Francisco. Have always wanted to attend for the past 3 or 4 years, but was unable due to my personal vacation during the same time. Well this year it worked out and got to spend a whole day there with a large number of others. Found some very interesting new items that I will be able to put to work on some up coming projects. I will blog about them as I have time. 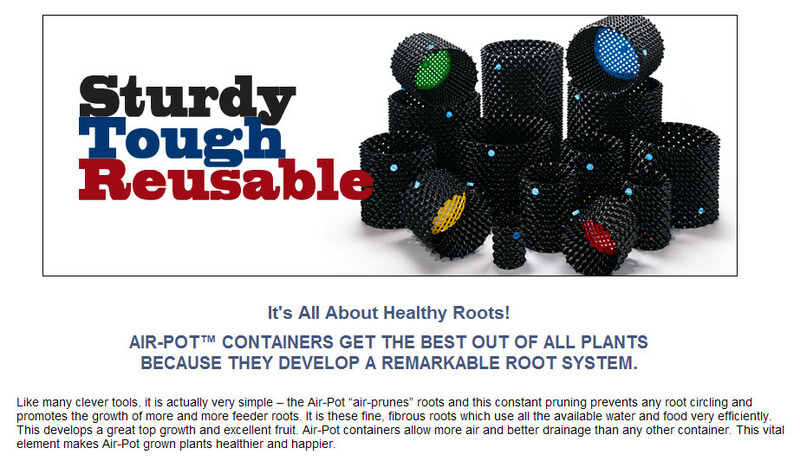 The one that was of most interest are Air Pots. This is a product that will have major impact for me going forward. I will be blogging about it and how I am using it in the next few posts. So stay tuned. Posted by rik94566 in 1-wire, aquaponic automation, aquaponics, arduino, CEA, Controlled Environment Agriculture, DIY aquaponics, DS18B20, HEX code, indoor aquaponics, indoor gardens, indoor growing, One-wire, probe index, sensor, Sensor Hub, Stainless Steel Temp Probe, Temperature Probe. When you want to learn something new in electronics, you have to start at the bottom. In my mind a circuit layout like this is the bottom for me and it is hard for me to follow. I will be the first to admit that I am not an electrical engineer and don’t want to be one either. I just want a simple way to hook things up and have them work when I need them too. So this layout just gives me a general idea of where to start on hooking up a external power source for my probes. I was at this same point when I started to learn about DS18B20’s and use with an arduino. The good news is that I have a more clear understanding how the DS18B20 functions and how it operates than when I first started on this project. Well that is a very good questions. 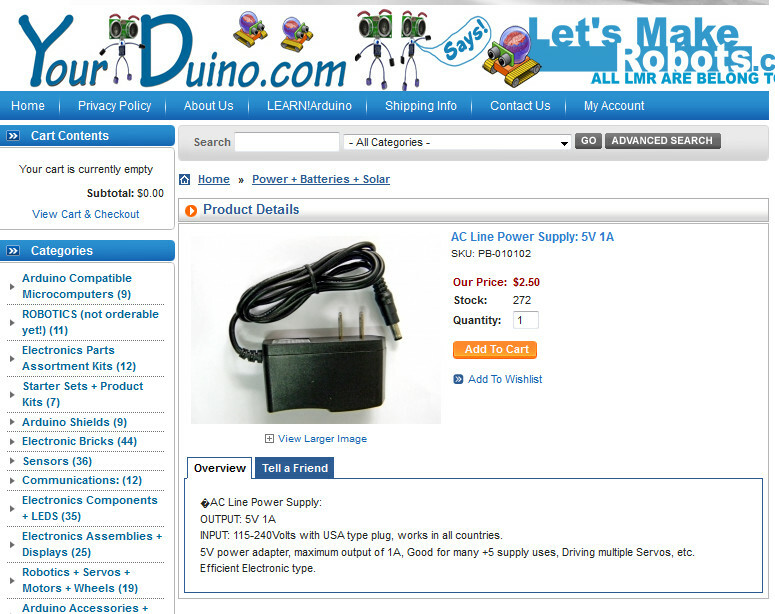 In most applications and small projects you do not need to know anything about this aspect of the DS18B20’s. In my case as I have been working on this blog several questions have been posed as to power drains on arduino’s if you request to many sensors being driven by the unit and you have long runs to your sensors. So I need to do some research as to how to use a external power source. A lot of places on the internet talk about it, but I have yet to find any source that shows a person how to actually make this work. As for the research here is the best I could find. If you know of others please let me know and I will add it to my library and give you credit for it here. With an external supply, three wires are required: the bus wire, ground, and power. The 4.7k pull-up resistor is still required on the bus wire. As the bus is free for data transfer, the microcontroller can continually poll the state of a device doing a conversion. This way, a conversion request can finish as soon as the device reports being done, as opposed to having to wait 750ms in “parasite” power mode. Note on resistors: For larger networks, you can try something smaller. The ATmega328/168 datasheet indicates starting at 1k6 and a number of users have found smaller to work better on larger networks. THAT IS ALL THERE IS — in this bible. Not much of a help in my mind. Many of the chips in the 1-Wire family from Dallas Semiconductor can be powered “parasitically”… that’s Dallas’s (apt) name for the system used. I’ve often used parasitic powering entirely successfully. However, if you have a lot of chips on the MicroLan, or high poll rates, the time may come when supplying the chips which can be powered parasitically makes sense. It isn’t difficult… especially if you provided for the possibility that you’d like to make the change when you first set up your MicroLan. Just as an example, let’s consider a MicroLan that is reading temperatures in various parts of a large greenhouse. We’ll assume you’re using chips from the DS182x family, in a TO92 package, the little blob of plastic with three “legs”. To use those chips parasitically, you just connect two of the legs to one another, and that leaves you with two connections which go to the two wires of the basic MicroLan. Now… and this is what I meant about giving yourself options for the future… rather than doing that the “obvious” way, using either a small PCB, or simple discrete wires, connect each of the three pins to a separate track or wire, and THEN make your connections to the MicroLan. If later, you want to use non parasitic power, then all you have to do is change a link, or disconnect one of the wires, and you can then supply the chip with its independent V,cc easily, without disturbing what would be fiddly connections to the package’s pins. The DS1820’s middle leg goes to the 1-Wire data line. And the DS1820’s “1-Wire 0v” should be attached ground,i.e. to zero volts. I am not sure how or where to insert these commands in the one wire object. “The use of parasite power is not recommended for temperatures above +100°C since the DS18B20 may not be able to sustain communications due to the higher leakage currents that can exist at these temperatures. For applications in which such temperatures are likely, it is strongly recommended that the DS18B20 be powered by an external power supply. In some situations the bus master may not know whether the DS18B20s on the bus are parasite powered or powered by external supplies. The master needs this information to determine if the strong bus pullup should be used during temperature conversions. To get this information, the master can issue a Skip ROM [CCh] command followed by a Read Power Supply [B4h] command followed by a “read time slot”. During the read time slot, parasite powered DS18B20s will pull the bus low, and externally powered DS18B20s will let the bus remain high. If the bus is pulled low, the master knows that it must supply the strong pullup on the 1-Wire bus during temperature conversions. Not a lot to work with here, but I do have a lay out and now need to assemble the components I will need to pull this off. Don’t you just love electronics and all the neat stuff you get to learn!!!! Well – I have the components assembled now so it is the time to “GO FOR 10 PROBES’ connected up. I will be using 4.7K ohm resistors with power supplied by my arduino. 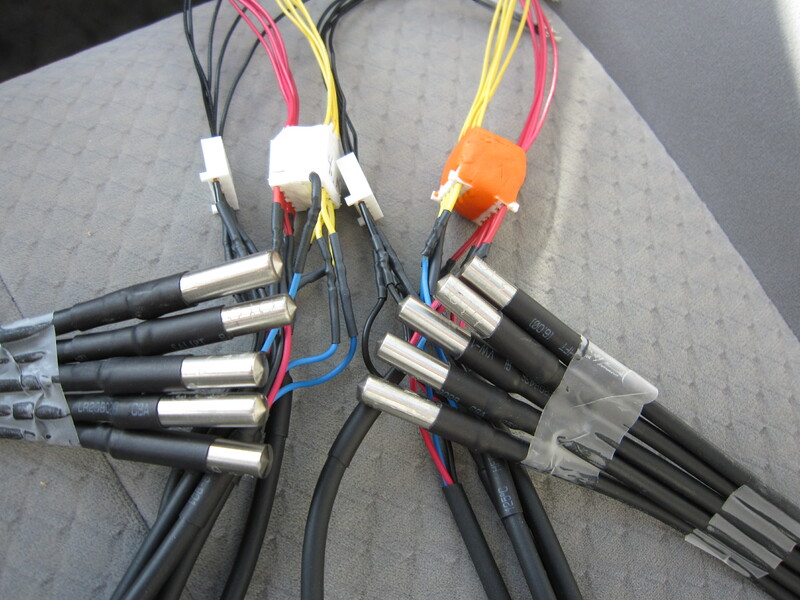 //configuration – each probe is plugged into a wiring harness using either a 4.7K or 2.2K resistor. //will use this to test power source and resistor needed to read 10 temp probes. Posted by rik94566 in 1-wire, aquaponic automation, aquaponics, arduino, CEA, Controlled Environment Agriculture, DIY aquaponics, DS18B20, HEX code, indoor aquaponics, indoor gardens, One-wire, sensor, Sensor Hub, Stainless Steel Temp Probe, Temperature Probe. Now that I have the HEX code for each temp probe it is time to move it to the working sketch. I will be pulling the sketch from the one used at the hacktronics site. Here is the code I pulled. I will work through it to make the changes I will need to make it fit my application. Posted by rik94566 in 1-wire, aquaponic automation, aquaponics, arduino, Arduino Your Environment, Controlled Environment Agriculture, DIY aquaponics, DS18B20, indoor aquaponics, indoor gardens, indoor growing, Links, One-wire, Temperature Probe. It became clear to me that the path I was on was leading me to a deadend when it comes to using a large number of DS18B20 probes. The sketches I was working with had problems for me. A number of comments and suggestions from readers along with research on my part I have figured out that the use of HEX code is the way to go. This new direction will get me to the end now. This seems to be the most traveled path when it comes to the DS18B20 platform. The best work I can find going this direction comes from two main sites. The first site Hacktronics.com has some very good tutorials on this subject. The second site is a spin off of the Hacktronics site in that the same code is used, but changed to be output to a LCD display (very useful stuff). These two sites will be very useful for me going forward and will enable me to finish-up on the Temp probe side of things and will allow me to move on to the others sensors I have been working with. Posted by rik94566 in 1-wire, aquaponic automation, aquaponics, arduino, CEA, Controlled Environment Agriculture, DIY aquaponics, DS18B20, indoor aquaponics, indoor gardens, indoor growing, One-wire, sensor, Sensor Hub, Stainless Steel Temp Probe, Temperature Probe. Here is the best source I have found to help understand this concept in regards to the DS18B20. The chip can be powered two ways. One (the “parasitic” option) means that only two wires need go to the chip. The other may, in some cases, give more reliable operation (parasitic often works well), as an extra wire carrying the power for the chip is involved. For getting started, especially if your chip is within 20 feet of your Arduino, the parasitic option is probably fine. When operating in parasite power mode, only two wires are required: one data wire, and ground. At the master, a 4.7k pull-up resistor must be connected to the 1-wire bus. When the line is in a “high” state, the device pulls current to charge an internal capacitor. This current is usually very small, but may go as high as 1.5 mA when doing a temperature conversion or writing EEPROM. When a slave device is performing one these operations, the bus master must keep the bus pulled high to provide power until the operation completes; a delay of 750ms is required for a DS18S20 temperature conversion. The master can’t do anything during this time, like issuing commands to other devices, or polling for the slave’s operation to be completed. To support this, the OneWire library makes it possible to have the bus held high after the data is written. Note on resistors: For larger networks, try something smaller. The ATmega328/168 datasheet indicates starting at 1k6 and a number of users have found smaller to work better on larger networks.